Mind control. Is it real? If it is, is it what you think it is? How do you know if your mind’s being controlled without your knowledge? Do you want to know how to control the mind of others? The truth is, mind control is very real. The only question left about its existence is how does mind control really work. Is it as mystical and creepy as most people believe it is? Or is there a real science behind it? 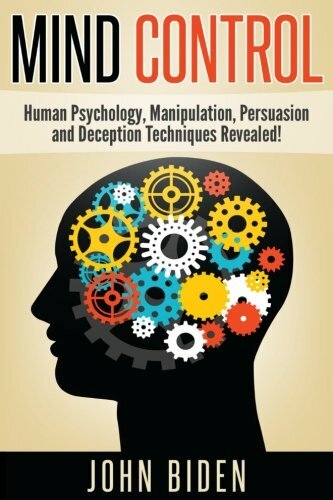 In this book, you will learn the truth about mind control – what’s it really about. It may come as a surprise to you that some forms of mind control don’t look like it and as such, you may already be practicing it at some level or it’s already being practiced on you! More than those, this is a practical book. This means you will get the chance to learn many practical ways of controlling other people’s thinking in different important areas of your life: relationships, negotiating, selling, and personal growth. Yes, you also need to control your mind in order to achieve your goals and dreams and it starts in your mind. So if you’re looking to make your relationships much better, and yourself a good negotiator, one of your company’s top sales person, and a very productive person, this book’s for you. Filled with practical information, this book can help you control both your mind and other people’s minds for the better.